Thank you everyone who sponsored Liam for the Wishmaker Walk for Wishes, Liam raised $1,395! The kids just LOVE Roary from Children's Wish. There were other characters there that day as well, and a bouncy castle, ice cream candy and more. It was a very fun day for the kids. In the pictures, you can see Liam has his own Roary, who came to walk with us. 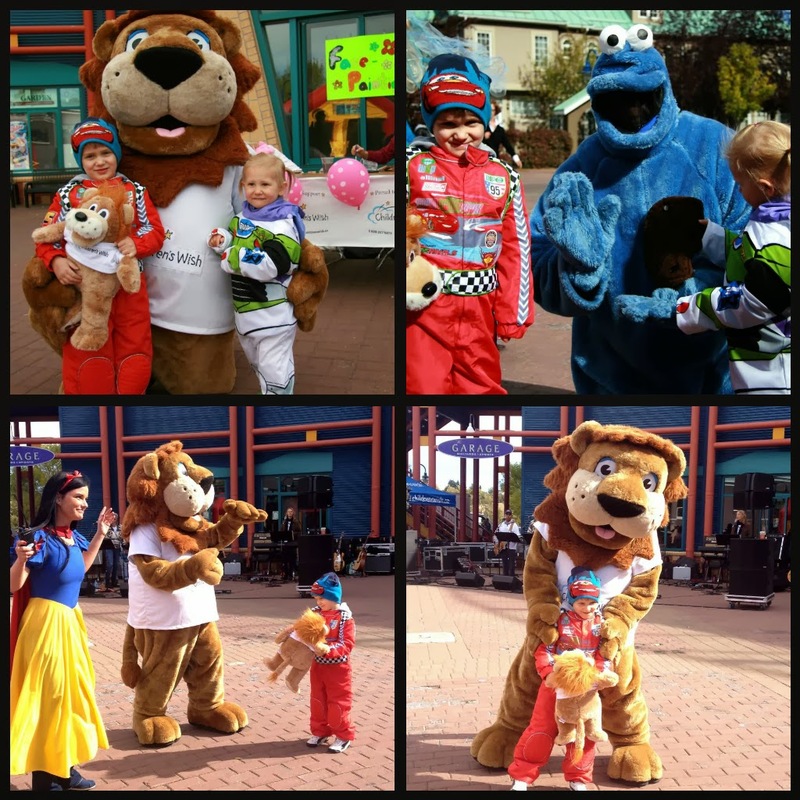 All kids granted wishes receive their own Roary. As Liam's wish was to meet Lightning McQueen & Tow Mater, he wore his Lightning McQueen racing suit. A chilly start to the day ended up being a gorgeous day for a 5K walk. Thanks to our friends who walked with us, a fun day for all! Thank you everyone! It's great to know that we are a small part of helping grant other kids their wishes.